As marketers, we know how important it is to understand our customers and reach them at just the right moment. We also know that consumers have more control of their digital environments than ever — and that they expect us to consistently make recommendations in line with their interests, personalities, and behaviors.1 So how can we regularly communicate in a relevant way with all of our customers? According to our new report on MIT Sloan Management Review, success starts with a strategy that’s backed by data. In the report, The Data-Driven Transformation, we speak with marketing leaders from Bayer, Tapestry Inc. (the parent brand for Coach, kate spade new york, and Stuart Weitzman), and Sprint. 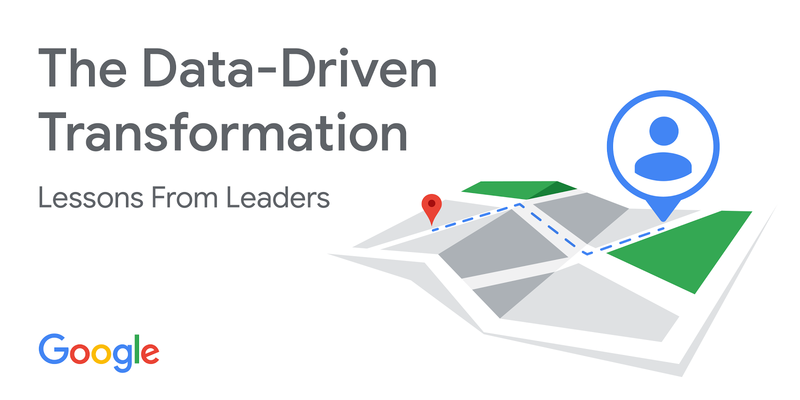 They open up with first-hand insights about transforming their teams to be more efficient, accurate, and agile. Here’s a few key insights from the research — and some words of wisdom from these top analytics pros. A recent study by the Association of National Advertisers showed that top marketing performers are the same companies that spend the most money on marketing technology.2 In many ways, their investments are paying off, but for those still using separate solutions for separate channels, there’s greater potential. Unifying their tech under a single, shared system could bring fuller, more tailored consumer insights — not to mention an easier way to evaluate what’s working and what’s not. Jeff Rasp, director of digital strategy for Bayer’s Consumer Health division, did just that, helping reimagine his team’s approach to data. He oversaw the creation of a new marketing insights platform to consolidate data under a single customer ID, and also helped build the company’s first attribution model to evaluate their success. To deliver the right messages at the right times, marketing organizations need data scientists, mobile developers, and other data professionals. For Rob Roy, chief digital officer at Sprint, that meant building a new in-house analytics team to take operations over from external partners. “We needed to get the right people who know how to build the architecture to house all the data,” Roy explains. Once he found them, Sprint worked to integrate data across channels — from web and social media to retail and display — allowing the team more advanced customer segmentation capabilities. A recent McKinsey study showed that 51% of top-performing marketers were part of a networked organization — one where cross-functional teams come together as needed. Parinaz Vahabzadeh, VP of global data labs at Tapestry, is one leader who’s made sure her team collaborates as a single unit. Want the full stories behind how these three brands are reimagining what they can do with data to reach their customers in relevant ways? Download the full report to learn more.